If you’ve visited Gatlinburg recently, you likely noticed the red aerial tramway that peeks out near traffic light #5. So what is the real deal when it comes to Gatlinburg’s Latest Attraction? We have the whole scoop in one glorious blog post, so keep reading! Well, the history is quite fascinating. The name Anakeesta comes from the Cherokee name meaning “high ground” or “place of the balsams.” Anakeesta is also the name of the rock layers that are part of many of the Smoky Mountain peaks like Chimney Tops in Gatlinburg. 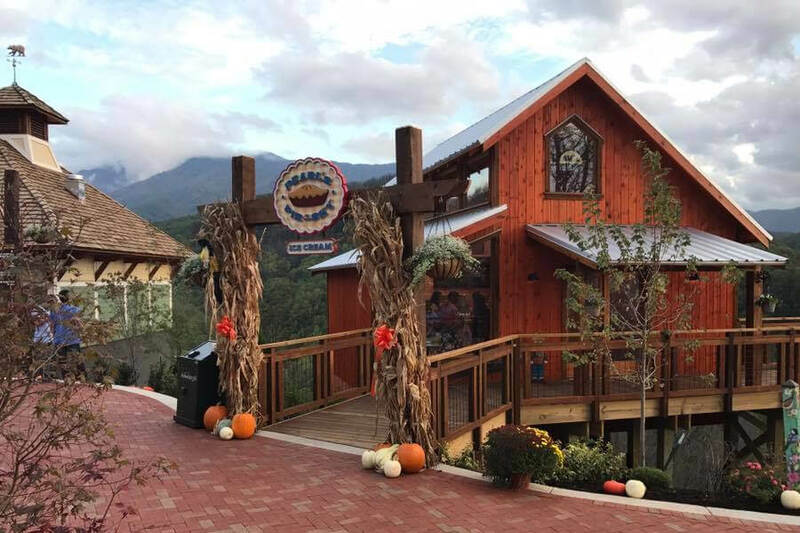 The land this 55+ acre attraction sits on was purchased from the Pi Beta Phi fraternity (they also formerly owned the Lucinda Oakley Ogle Cabin that sits in downtown Gatlinburg). They sold it to former National Park Service employees, Bob and Karen Bentz (a Knoxville native). 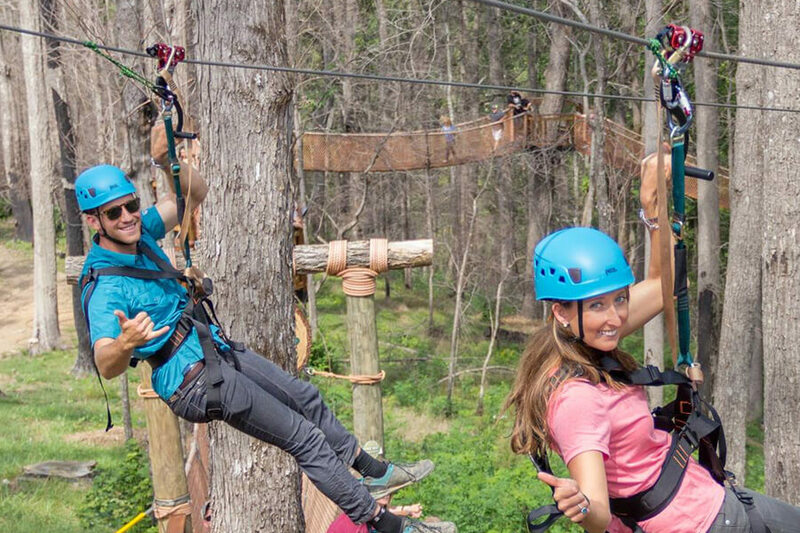 They partnered up with CLIMB Works to create a fantastic (and adventurous) experience with dueling ziplines and a treetop walk. Don’t try to compare this to Ober Gatlinburg. What Anakeesta offers is more in line with a treehouse adventure park, even though there are some similar rides like the new mountain coaster arriving next year in 2018. 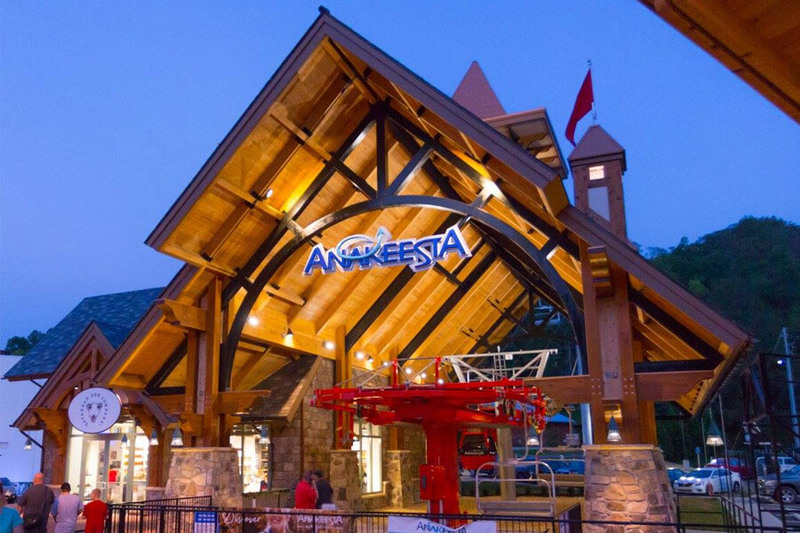 Anakeesta visitors can take the Chondola (choose from an enclosed 6-person gondola or 4-person chairlift) from the station in Gatlinburg and enjoy the 14-minute ride up to Anakeesta Mountain and the Firefly Village. You’ll notice the majestic 360-degree views of the area, including Mount LeConte, and an immersive treehouse-themed atmosphere. This is the hub of Anakeesta and is home to eateries like Pearl’s Pie in the Sky and Anakeesta Summit Smokehouse. Also in the village are shopping opportunities at the Great Outdoors Trading Company and Catching Fireflies boutique. The Adventure Outpost is where you can grab your zipline tickets for the side-by-side Dueling Zipline Adventure. Those looking to “strike it rich” can go gem mining next to the Children’s Treehouse Village Playground. While fun, it’s also a learning experience as you’ll discover where your treasures are found in the world. The Dueling Ziplines are some of the highest that CLIMB Works has ever built, with riders zipping over 200 feet above the ground and launching from platforms at 90 feet high. Zip the more than 1,000 feet of lines with your friends or your family and turn the experience into a competition! The mid-station Chondola returns riders to the summit. The Tree Canopy Walk rises 40–60 feet above ground and offers 16 sky bridges to traverse. You’ll get a unique view of the mountaintop from there. 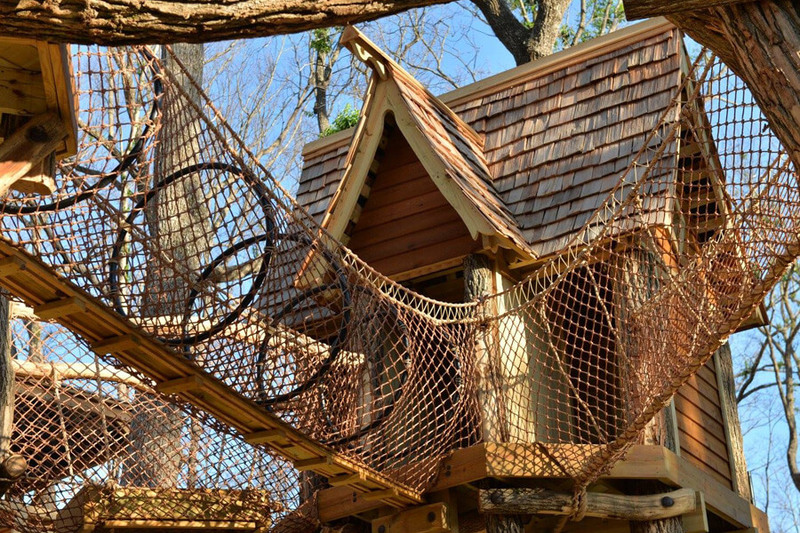 Kids can make their own adventures at the playground in the Firefly Village as they walk across bridges, navigate a maze, and learn about nature. Want to learn more about Anakeesta? Check out their website for more information, including pricing and directions. It’s an awesome Gatlinburg attraction worth visiting!